Fashion week is not all just about fashion but beauty always plays a big part. Giving the make-up and hair artists a chance to expand their horizons and go to extremes with trends to match the designers collection. Across the catwalks in New York there were a variety of looks going on with the extremely short bob making a comeback, classic red lips and french manicures appearing, 90s supermodels inspiring the Michael Kors show and gold tears at Jeremy Scott. 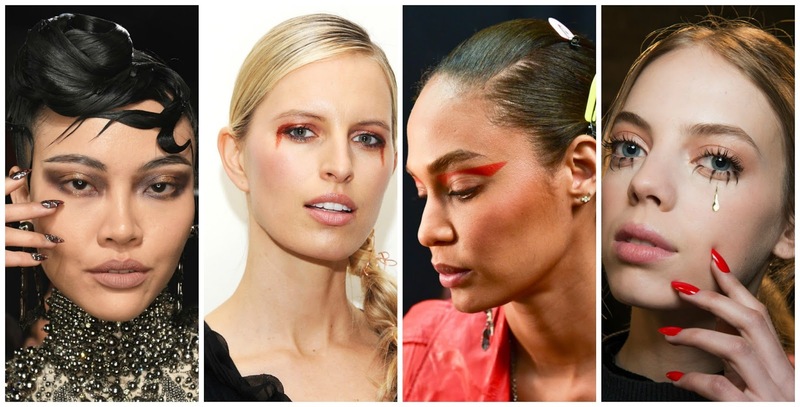 Here’s a look at this seasons beauty trends. Small tears placed on models cheeks were a big trend this season with them being copper or gold. I can see this being recreated in lots of make-up tutorials with stick on gems. Do they not remind you of the 90s. This upcoming film has been seen to influence The Blonds show with hair replicating strips of fabric that were traditionally used to mummify dead bodies giving a dark look to this collection. The look of ‘just stepped out the ocean’ was quite big this season with loads of models having slicked back gelled hair giving off a wet vibe. Individuality is back with bobs taking to the stage from Alexander Wang to celebs like Kylie Jenner sitting front row with their new do. Highlight of course is something everyone loves to go over board with although Pat McGrath gave a subtle highlight to the inner corners of the eyes by dusting silver powder. 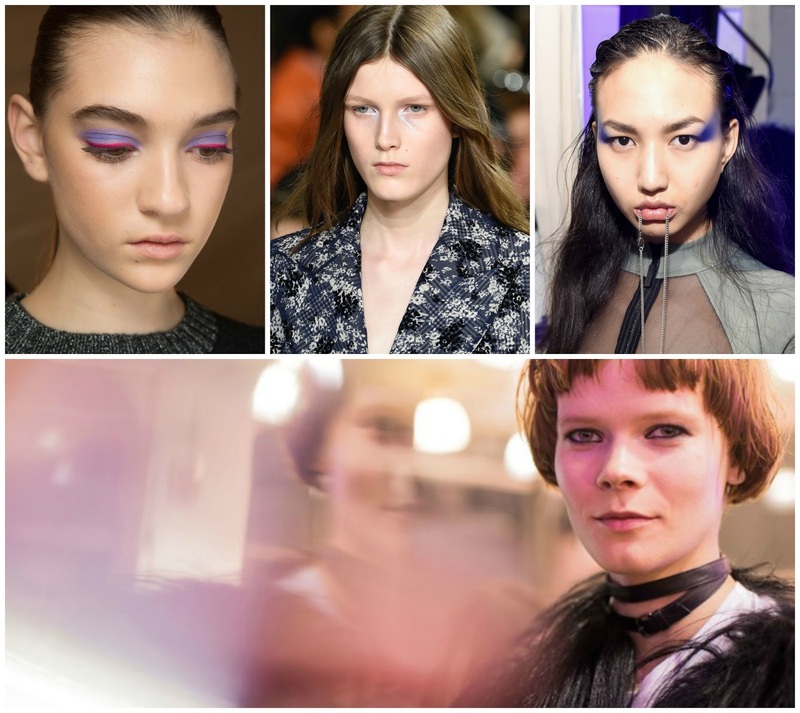 Block is usually a thing of summer but at Oscar de la Rentas show it was taken to the eyelids with a bold blue as the base adding a line of vibrant pink liner to the lash line.